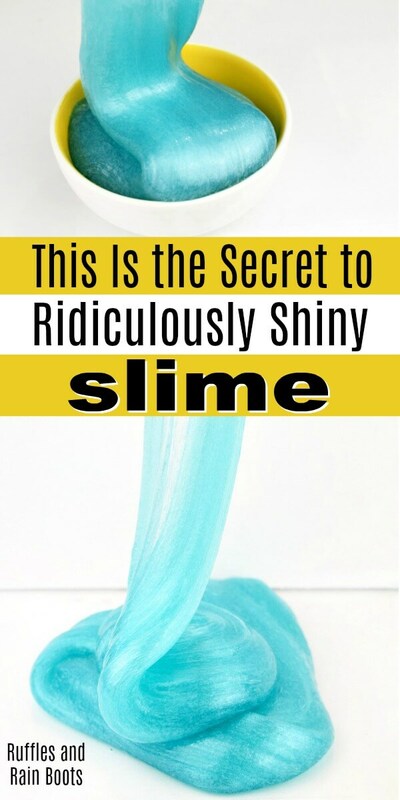 You are here: Home / Kid Crafts / Blue Crystal Slime – It Is Ridiculously Shiny! 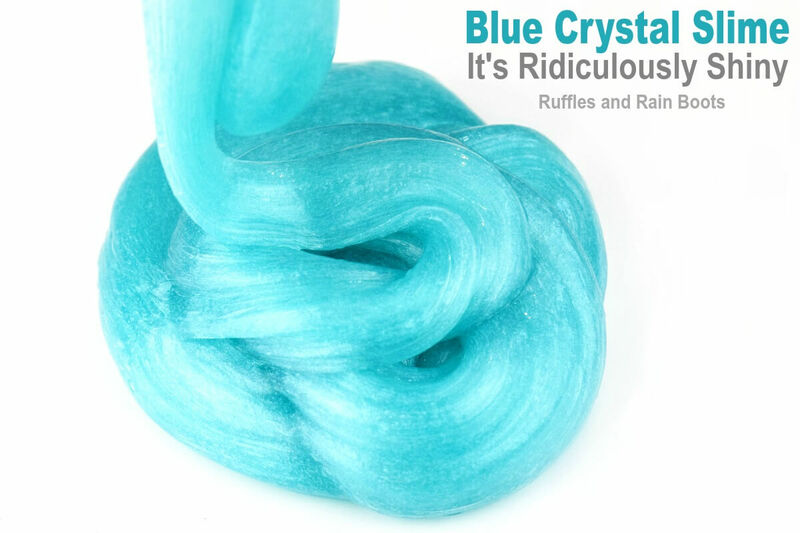 Blue Crystal Slime – It Is Ridiculously Shiny! This blue crystal slime is amazing – it has a crystal clear slime base and a pearlized powder coloring that will knock your socks off. Let’s get started! 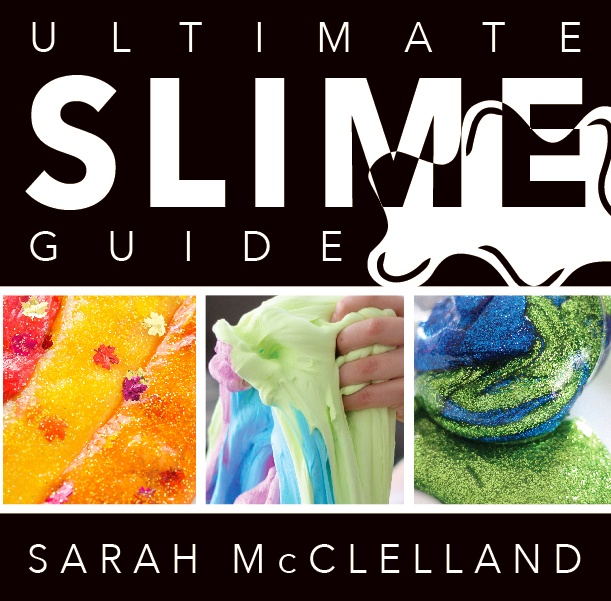 Get all the clear slime recipe measurements here. Note: we used only half the recipe she shares. It isn’t our recipe, so we don’t feel okay sharing it here. We made a gold slime the exact same way as this gorgeous blue crystal slime. Have a look-see or read the instructions below to make slime with mica powder. Blue Crystal Slime - It Is Ridiculously Shiny! 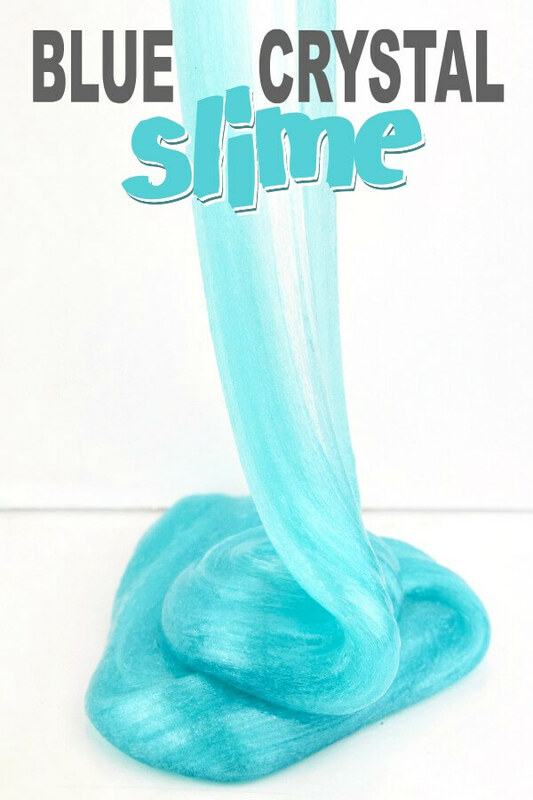 This blue crystal slime is amazing - it has a crystal clear slime base and a pearlized powder coloring that will knock your socks off. Let's get started! Add the glue and water together and stir to combine. Mix in the activator solution (start with 1 tablespoon) and stir until the mass starts to form. Go slowly - the bubbles will form, making the slime not so very clear. Add a little more activating solution until the mass is fully formed after stirring. Stretch the slime slowly - see this article for tips about clear slime- and knead it by hand until it is no longer sticky. Lay the slime flat and add in sprinkles of mica powder. We didn't measure, just layered it over the slime. See the video for how much. Slowly stretch the slime and fold in the mica powder so it doesn't go all over the place. Store slime in an airtight container. Have you ever made clear slime and added mica powder? 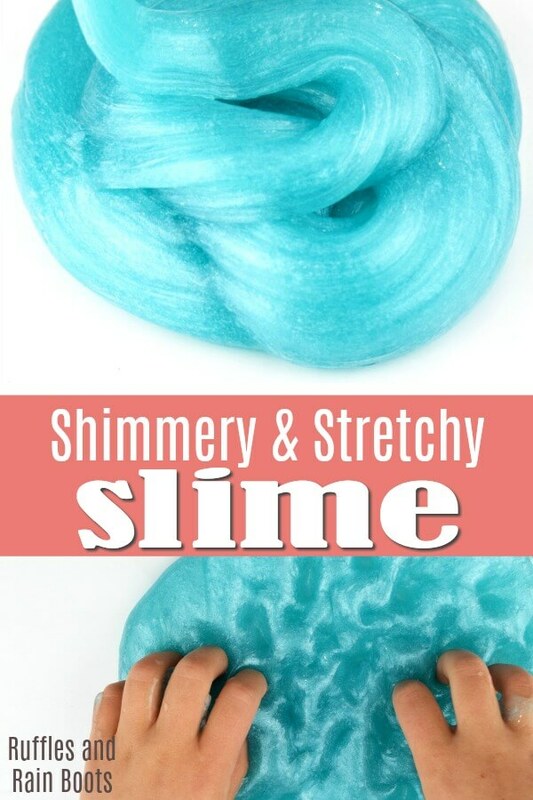 It might be our new obsession because it makes slime so shiny and silky!